Stuck with your dissertation literature search? Try this. 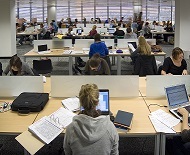 How the Library can help you in Semester Two? 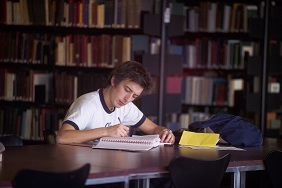 Need help using or discovering Library resources? Need advice on referencing and citing? Not sure where to start with your systematic literature review? Or just want to know how to best use Google in an academic context? The Academic Support Librarian team are running several courses this semester through IS Skills which you can book onto via MyEd. These (mostly) 1 hour sessions allow you to get expert advice and hands-on experience, so whether you are a returning to the University after the winter vacation or are a brand new student at the University why not book on and become an expert yourself? It’s one month to go until the Scottish Referendum and as Scotland is gearing up to decide its future and politics dominates the news we thought we’d give you a taster of political science resources available to students and staff here at University of Edinburgh Library. The Library has recently subscribed to the online database Peace Research Abstracts. This is a comprehensive database for peace and conflict resolution research and is a particularly useful resource for those studying International Relations and Politics. The Library has recently subscribed to the online databases China Law Info and PAIS International. China Law Info is a bilingual database for China legal documents and information. The database provides both the original Chinese version and the English translation of China laws and regulations, judicial cases, tax treaties, white papers, law journals and gazettes, as well as other China legal information such as legal news and legislative/regulatory updates. The database is updated daily. You can access China Law Info and PAIS International via the Databases A-Z list on the Library website. Compiled by the UIA (Union of International Associations) the Yearbook of International Organizations Online is the most comprehensive reference work and information resource on international non-profit organizations and associations worldwide. The Yearbook includes detailed descriptions of international organizations, and also includes relationships and cross-links with other listed international organizations. In addition, biographical information is provided on principal officers, as well as bibliographical information on the organization’s main publications and information services. Available until 9th June 2014. This resource covers issues in the public debate through selective coverage of a wide variety of international sources including journal articles, books, government documents, statistical directories, grey literature, research reports, conference papers, web content, and more. PAIS International is the current file covering 1972 to present. Available until 13th June 2014. Europa World Plus is the online version of the Europa World Year Book and the nine-volume Europa Regional Surveys of the World series. First published in 1926, the year book is renowned as one of the world’s leading reference works, covering political and economic information in more than 250 countries and territories. Available until 22nd June 2014. There are feedback forms available and we would welcome feedback as this a key part of making a case to subscribe to resources like these.